After a smash hit debut in 2017, our VR, AR and MR industry event returns to London next week on 22nd and 23rd January. We’ve already been told that it was a highlight of the XR calendar last year, but that doesn’t mean we can’t make it better - right from the banner down - with more speakers, more exhibitors and more... moar! 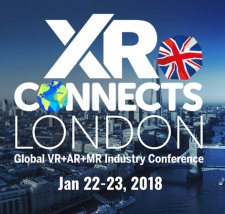 Last year, it was called VR Connects - this year, it’s XR Connects London as we add dedicated AR/MR conference tracks to reflect the changing industry. 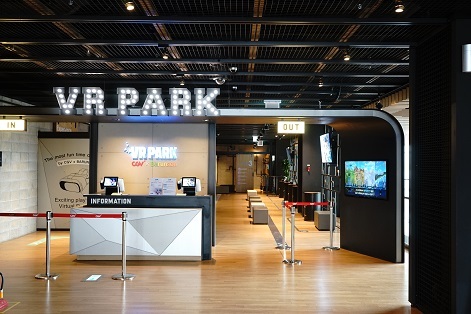 Once more, the event is co-located with Pocket Gamer Connects, but this year we’ll also be joined by an all-new PC Connects, dedicated to desktop games development. And your ticket to XR Connects grants you access to all three shows for the price of one. Whether you’re working in mobile, desktop or XR - or any combination of the three - Connects London is still the biggest b2b games conference in the UK. THE UK's BIGGEST B2B GAMES CONFERENCE. New for 2018, we’re also introducing practical workshop sessions for more in-depth insight into a range of topics, running alongside a packed conference schedule featuring 40 speakers across 5 tracks and more than 30 hours of essential content. We’re also adding hot new topics to the bill; as well as a dedicated AR track, you’ll also get up to speed on influencer marketing, eSports and the newest way to raise funds that any indie dev should be aware of, blockchain and Initial Coin Offerings (ICO). And of course, you’ll also get the latest updates on classic topics such as monetisation strategies, market overviews, business insight, development knowhow, post mortems, indie success stories, talent acquisition, technical insight and more. Access to every one of these sessions - as well as those in Pocket Gamer and PC Connects - is included in the cost of your ticket. Not only is Connects London the biggest b2b games conference in the UK, but it also has a genuinely international client base, with delegates from more than 55 countries on average - up to 59 last year. Attendees represent a full cross-section of the industry, from student devs to c-level execs, indies to triple As, publishers, investors, the media and more. Whether you need to find the funding for your next project, a creative collaborator or distributor, our Pitch & Match system makes it easier than ever to arrange meetings with your ideal contact from every company at the show. This value-added feature is available at no extra cost and is free to use for everyone with a ticket.